A historical moment in Hong Kong - in a non-violent manner Hong Kong people speak out their wish on politics. 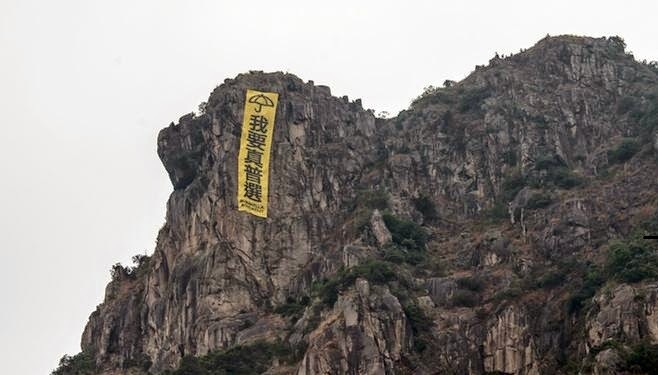 Two days ago a group of rock climbers hang a huge yellow banner - reading "I want real universal suffrage" - from the top of Lion Rock in Hong Kong to show support for the democracy movement. It was removed by the Hong Kong Government within hours. I think this is the "Hong Kong Lion Rock spirit 2014".